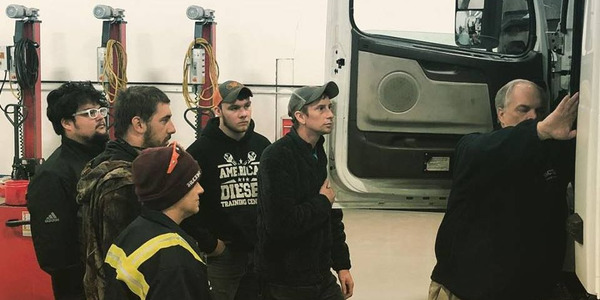 Having a complete and total understanding of everything related to your truck’s tires is essential for today’s fleet managers. Work Truck readers have some excellent questions and we made sure to get answers. Below we discuss using tires with different load ratings, impact of average traveling speed on tire load carrying capacity, tire pressure and inflation's impact on load carrying capacity, how to tell a tire is DOT rated, and how much truck tire sizes can be changed, if at all. Q: Is it ever okay to use tires with different load ratings in the front and back of a truck? 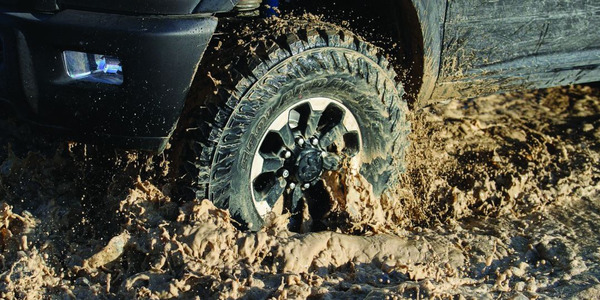 In some cases, passenger-type tires come from the vehicle manufacturer on light trucks or vans. “When time to replace the tire, including passenger-type tires, tires should be replaced with the same size and type of tire as specified on the vehicle placard, as the vehicle manufacturer has taken into consideration ‘in service’ conditions when selecting tires,” said Bob Toth, director, industry relations for Goodyear. In commercial vehicles, it is acceptable to run tires with different load ratings on the different vehicle positions (steer, drive, trailer). “Each axle of the vehicle will support a different amount of load. 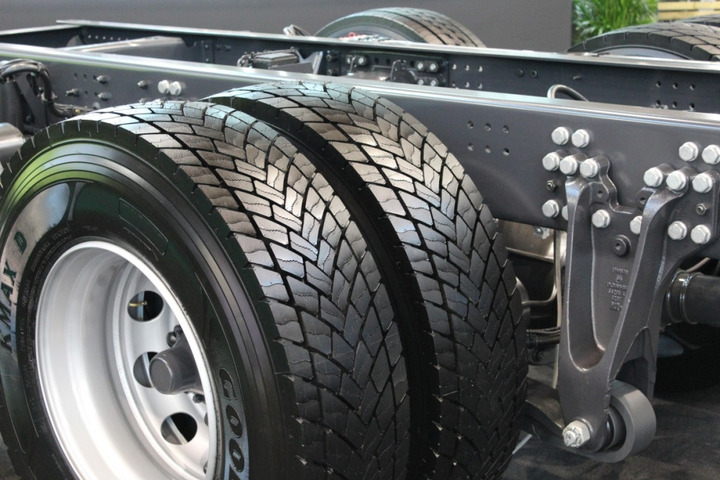 The tire size, load range, and target inflation pressure should be specified such that all tires carry the maximum load that the fleet/truck may carry,” said Phillip Mosier, manager of Commercial Tire Development for Cooper Tire & Rubber Company. Q: Does average traveling speed impact tire load carrying capacity? A: Overall, a truck’s average traveling speed impacts a tire’s load carrying capabilities. 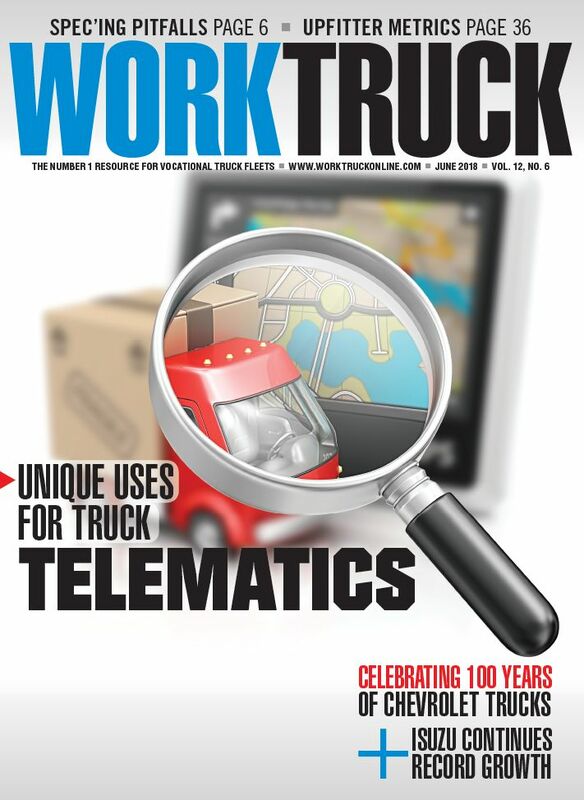 “Truck tires have speeds associated with their ability to carry various weights, which is why ‘Speed Symbols’ are used by tire professionals when recommending tires,” said Walt Weller, senior vice president of Double Coin Tires. By reducing traveling speed, fleets can increase the load-carrying capacity of a tire. “In some cases, this also requires increasing the tire air pressure. However, for speeds above 20 mph, the increased tire air pressure should not exceed 20 psi above the inflation specified for the maximum load of the tire. Never exceed the maximum load and inflation capacity of the rim,” said Helmut Keller, Continental’s head of brand and product management for commercial vehicle tires in the Americas region. 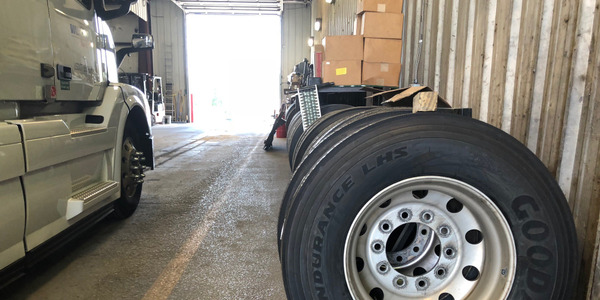 Keller shared this example: “On a 11R22.5 tire, which is a common tire size, reducing the maximum speed to 50 mph instead of 65 mph can increase the load-carrying capacity by 9%. In this scenario, with two 11R22.5 Load Range G tires in a single configuration on the steer axle, the total load-carrying capacity would be increased from 12,350 pounds on that axle to 13,461 pounds,” she explained. Especially when on a highway surface, speeds are a factor in “heat buildup” in tires. “Generally, the higher the speed you are traveling, the higher the operating temperatures the tires are being subjected. If a tire is underinflated, it will run much hotter because of the additional flexing in the tire sidewall. Over time, this will damage the tire and can potentially lead to tire failure. 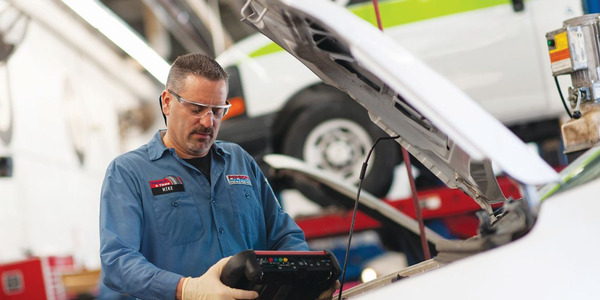 Regularly checking tire pressures is imperative,” said Todd Bergeson, senior manager, Product Planning & Technical Services for Toyo Tire U.S.A. Corp.
And, while vehicle speed can impact tire load capacity, it generally isn’t a factor under normal operating conditions. “If a commercial truck is operating at less than 50 mph, there can be special allowances made to run with higher loads. In these cases, contact the tire manufacturer should for spec’ing out the acceptable operating conditions (load, inflation, speed),” said Phillip Mosier, manager of Commercial Tire Development for Cooper Tire & Rubber Company. Q: How does tire pressure/inflation impact a tire's load capacity? A: A tire’s load capacity, simply put, “is based on the air volume and pressure it is capable of safely containing,” noted Todd Bergeson, senior manager, Product Planning & Technical Services for Toyo Tire U.S.A. Corp.
“Tires are the vessels used to hold the air. The air inside the tire is what carries the load. A tire’s inflation pressure has a great impact on the load carrying capacity. The amount of inflation pressure inside the tire can either lower or raise the load carrying capacity,” said Phillip Mosier, manager of Commercial Tire Development for Cooper Tire & Rubber Company. Essentially, tire pressure creates load-carrying capacity. “This happens because it’s the air inside the tire that carries the weight, not the tire itself,” said Helmut Keller, Continental’s head of brand and product management for commercial vehicle tires in the Americas region. Walter Weller, senior vice president for Double Coin Tires, agreed. “A tires inflation pressure is everything when it comes to carrying capacity of the tire. The carcass, casing, or tire body merely holds the air that carries the load,” he said. Proper tire pressure is extremely important. According to the Technology & Maintenance Council, a tire 10% underinflated will shorten tread life by 9-16% and decrease fuel economy by 1%. A constant 20% underinflation will shorten tread life by 25%. 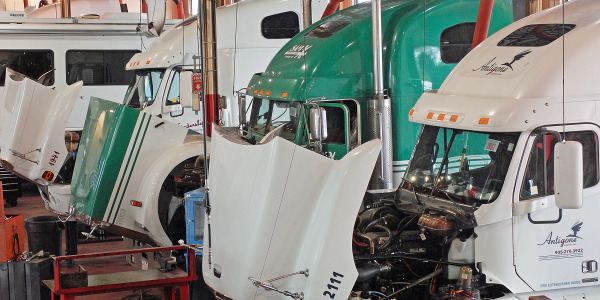 Improper inflation increases total tire-re­lated costs by approximately $600 to $800 annually per tractor-trailer combination, according to a 2003 study by the Federal Motor Carrier Safety Administration (FMCSA). “In addition to frequent monitoring of tire air pressure, monitoring at the correct temperature is vital. Warm air takes up more room than cold air. That’s why all reference tables refer to ‘cold air pressure,’ a tire’s air pressure should always be measured after the tire has cooled to ambient temperature. Otherwise, it might read with a higher inflation pressure than what it truly has,” Keller said. Mosier also recommended operators and fleets pay close attention that their target inflation pressure meets their requirements for the load carrying capacity for each axle position. One example is a 11R22.5 tire. The maximum load-carrying capacity of a Load Range G tire in a single configuration is 6,175 pounds. “If this tire is a steer tire, we would assume two single tires on the front axle, for a total load-carrying capacity of 12,350 pounds on that axle. This maximum load-carrying capacity is only achievable by inflating the tire to 105 psi. Tires underinflated vs. this 105-psi requirement have a reduced load-carrying capacity. If both steer tires are inflated to only 100 psi, they could each carry only 5,950 pounds for a total of 11,900 pounds on the steer axle; a 4% decrease,” Keller added. And remember, recommended tire pressure can change depending on the load carried. “A common mistake is to use the ‘maximum’ pressure shown on the sidewall when carrying a lighter load and then the tire is overinflated and has a smaller contact patch,” said Paul Tatarchuk, special services coordinator for Michelin North America, Inc.
It’s critical to operate a vehicle at the recommended pressure and not exceed the maximum load. “The information on tires is always referred to as maximum pressure and load. Vehicles should always run at the recommended pressure and not the maximum unless recommended by the vehicle manufacturer. Vehicle owners can find the recommended pressure in the driver’s front door panel,” said Fardad Niknam, senior director of consumer product planning and product marketing for Yokohama Tire. Q: How can someone tell if a tire is DOT-rated? A: Every tire sold in the U.S. must have a DOT number on its side. “This DOT number signifies the tire was manufactured to the U.S. Department of Transportation (DOT) standard,” explained Walt Weller, senior vice president of Double Coin Tires. DOT-rated tires must have a DOT serial number molded into the lower sidewall on each side of the tire. Q: How much can truck tire size be changed on a truck to in-crease carrying capacity before it is unsafe (if at all)? 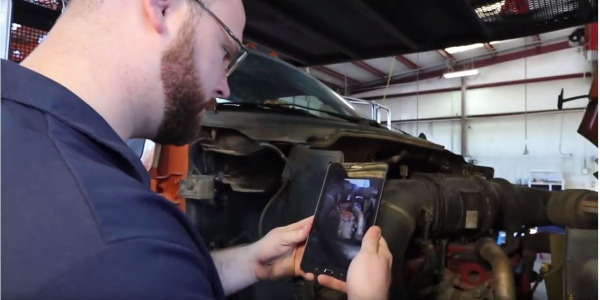 A: While some very limited adjust-ments can be made, the subject-matter experts unanimously agreed that first and foremost, fleet managers should reference Tire & Rim Association and OEM recommendations. “Fleets should reference the Tire & Rim Association (TRA) standards to select the correct tire and size to safely carry the loads they are hauling,” said Helmut Keller, Continental’s head of brand and product management for commercial vehicle tires in the Americas region. But, the topic can become complicated when it pertains to drive tires. 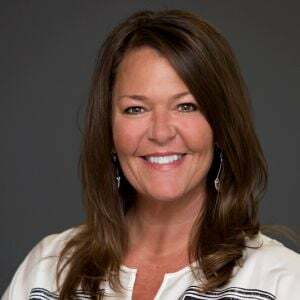 “If this is a consideration, discuss with your truck tire dealer for the best solution,” said Paul Tatarchuk, special services coordinator for Michelin North America, Inc. Remember, tires are not the only limiting factor for carrying capacity. “Tires must be fitted to the vehicles GVW as well as the axle ratings of the vehicle. The wheels also must be considered as most standard wheel have a maximum psi of 130 pounds. Also, bigger tires may not fit in the wheel well or may cause the tire to rub against the body of the truck. 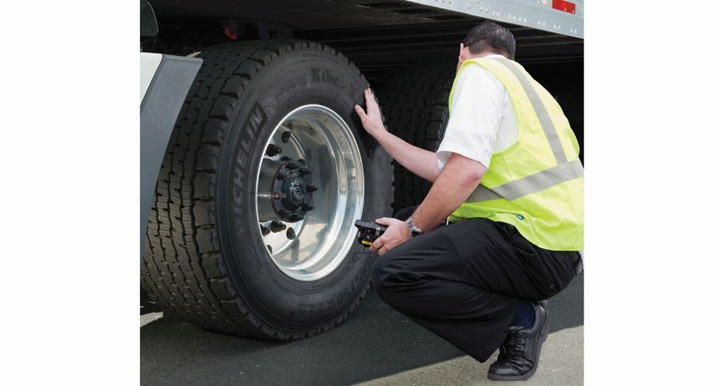 Changing truck tire size to increase a vehicle’s carrying ca-pacity needs to be done very carefully, considering specific factors, so that the vehicle re-mains safe and should involve a tire professional,” said Walt Weller, senior vice president of Double Coin Tires. One of the most noticeable size changes would be going from duals (two tires) to a super single tire on drive positions. 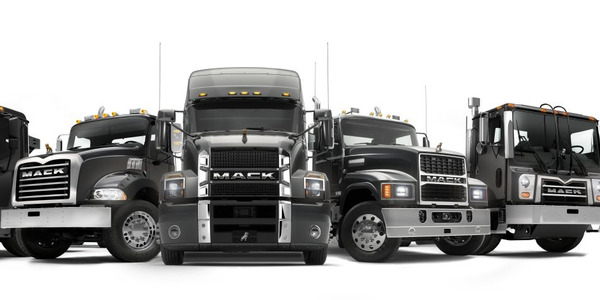 “Duals and super singles have similar weight capacity but tradi-tionally weigh less. If changing sizes always ensure the size change can accommodate equal to or greater than the current ca-pacity. Any reduction in weight capacity will be deemed unsafe. As well changing the overall di-ameter of a tire can change the speedometer reading which could also result in unsafe driving habits,” said Rob Williams, senior director of TBR sales for Hankook Tire. Bottom line: follow the vehicle manufacturer’s tire size and load range recommendations. “In case of a truck being raised, consult the shop doing the lift for proper tire size, speed, and load index,” said Fardad Niknam, senior director of consumer product planning and product marketing for Yokohama Tire. “The serial number is preceded by the letters ‘DOT.’ The DOT symbol constitutes a certification by the tire manufacturer that the tire conforms to applicable Federal Motor Vehicle Safety Standards (FMVSS),” said Bob Toth, director, industry relations for Goodyear. Next to the ‘DOT’ marking, is the tire identification number (TIN). “The TIN is also known as the tire ‘serial’ number. 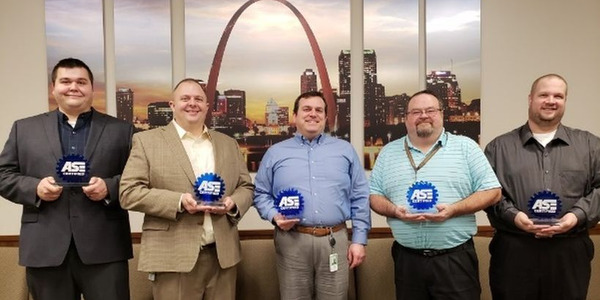 All tires sold for use on public roads must have a DOT code on them,” said Paul Tatarchuk, special services coordinator for Michelin North America, Inc. The DOT code provides information such as the manufacturing plant or factory, tire size code, and date of production.